Denmark is one of the hot immigration destinations in Europe. Time and again, it has been ranked as the ‘Happiest Country in the World’. The beautiful Nordic European country is known for its diverse culture, tourist attractions, traditions, customs and values. It is highly developed and has well maintained infrastructure. It is also known for high standard of living and unending employment opportunities for foreign professionals. As per some reports, it has been estimated that more than a million candidates apply for the Danish Residency. The year 2015 seems promising for those who are interested in Denmark Immigration. They will be judged against the Points Calculator under the Danish Green Card Scheme. Let us know in details about the Denmark Immigration and how Points Calculator will be effective in the year 2015. If you have plans to migrate to the ‘Happiest Country in the World’ to work, then Danish Green Card is just perfect. The nation is one of the safest countries in the world, and it does not offer just unlimited employment opportunities but also social security to immigrants. Immigrating to Denmark is comparatively easy, especially for skilled workers as the country lacks skilled workers in many sectors. In order to check the candidate’s capability Immigration Points Calculator is used. Danish Green Card is a point based programme, and based on the score scored by skilled workers they are granted a permit to live and work in the country that gives them a legitimate right to live and work in the nation for a fixed period of time. An added advantage enjoyed by skilled workers is that they do not have to obtain a separate work permit to take up a paid or unpaid opportunity. However, the candidate cannot start his own business venture in the nation. To be eligible, the candidates should be able to support themselves in Denmark initially for at least one year and should have valid health coverage. The candidates are awarded points on the basis of following factors experience (15 points), education qualification (105 points), adaptability (15 points), age (15 points) and linguistic skills (30 skills). Bonus points are granted to those who have either studied or worked in the European Union (EU). To qualify, each candidate has to score at least 100 points. Lately the Danish Embassy has introduced some major reforms which become effective from January 1, 2015 which includes the introduction of special version of Green Card scheme for students. The amended version will allow international students to stay back in the nation to look for a job once they have completed their graduation degree. Some amendments have been made to the point system also, and as per the fresh amendments, a candidate can stay in the country for at least two years. Immigration Points Calculator is the best way through which skilled workers, on the basis of their human values, can easily qualify to get a permit to live and find a job in the overseas hotspot. I have done master of Electrical Engineering after completing my 4 years bechlor of engineering program . Currently i am working in Oman as an Electrical Engineer. Can you Please Suggest me further . 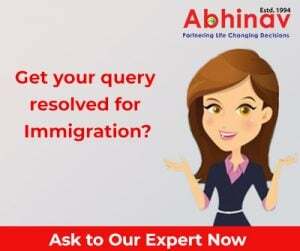 Thanks for the comment.Let me know you are looking for which country.. you can also send us the detailed resume of self and spouse (if married) to monika@abhinav.com and we shall guide you further. please let me know how can apply for immigration. i have done my bachelor in electrical & electronics engineering and also i have done online MBA too, i have 7+ years experience in telecom sector as Planning & Optimization engineer and currently working for Ericsson company as team lead, can i apply for immigration. Thanks for the comment. Definitely you can apply for the PR visa.You can send your cv to monika@abhinav.com and we shall suggest the best option for you. As per my calculations my total point is 110. But i’m 49 years old. can I apply? Thanks for comment.I guess the query is regarding Denmark.Because only for Denmark there is no age limit and you can apply.Kindly send us detailed resume of self and spouse to monika@abhinav.com and we shall guide you further. I have completed my M.C.A and having 6 + years of experience as a IT consultant. I got 115 points. Is there any possibility to get Denmark green card ? I’m working as a chef with 6 years of experience but my education qualification is poor i.e SSC and 1 year course in hotel management that’s it and this is the reason I couldn’t apply for abroad. Should I stop my dreams of going abroad? Please give your valuable suggestion,anything is welcomed. Sorry Sir, You are not eligible.